There’s nothing quite so precious as a baby pig. Especially a naturally dirty one. Near my home is a farmer’s market with a petting farm. None of the animals are raised as food, mostly educational. They are put in smaller pens on Saturday’s for kids and adults to enjoy, then released to much bigger spaces the rest of the week. This little fellow is just begging for a treat. Find more cows and such here. 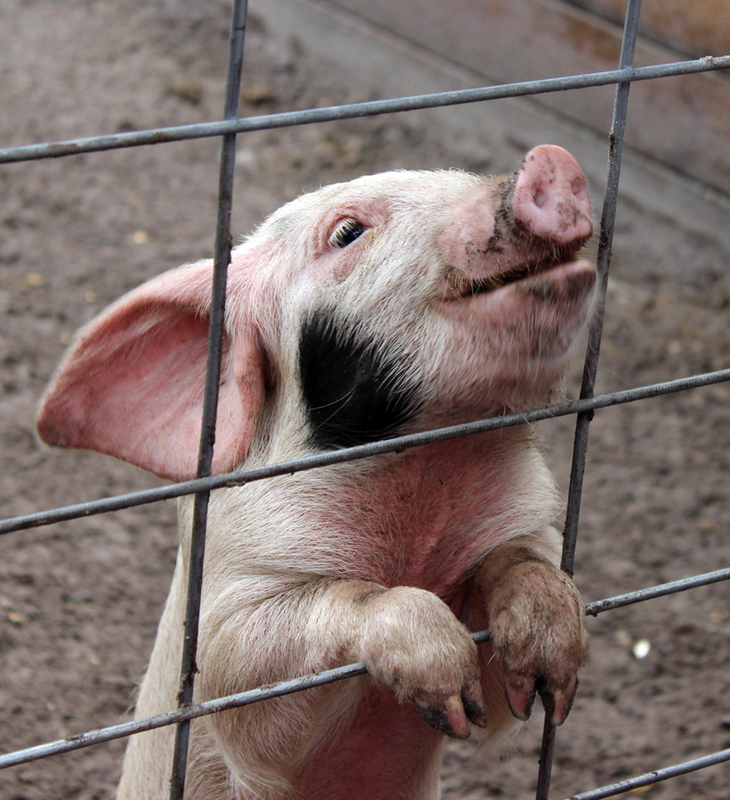 He reminds me of Charlotte’s Web, he’s the perfect Wilbur. Thanks for joining the challenge! He is adorable and so were all his little friends. Thanks for offering the challenge! Ahh! So cute! I love little piglets!